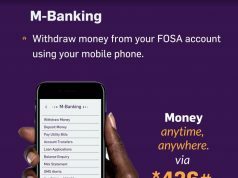 Boresha SACCO Society Ltd is a Financial Institution licensed for Deposit Taking business by Sacco Societies Regulatory Authority (SASRA). We are among the top performing SACCOs in Kenya with a Asset base of Kshs. 5.0 Billion. The Society was registered on 31st August 1976 by 10 Members with initial share Capital of Kshs. 60,000. Today the growing Membership stands at 77,214 with Members Savings/Deposits of Kshs. 2.8 Billion. The Core Business is Savings and Credit plus Financial Services to the unbanked Community Members. Loan with Members Kshs.3.7B. Area of operation is the Republic of Kenya with a Base in Baringo County in the Rift Valley Region. Head Office is situated in Teachers Plaza, Eldama Ravine, Koibatek Sub County. 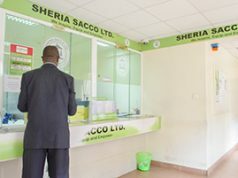 Boresha SACCO rebranded from Baringo Teachers Sacco Society limited in 2012 so that Members, Clients and Partners Nationally and Internationally could effectively be served without the limitation by name and geographical location. Membership is open to All, Salaried Members comprising of Teachers under Teachers Service Commission (TSC), Civil Servants employed by Public Service Commission, County Governments Staff, Institutions’ Pensionable Employees, KNUT and NGOs Staff, SACCO and its subsidiaries Staff, Retired Members continue being Members, Companies and Parastatals Pensionable Staff. Non Salaried Members – Membership expanded to Spouses, Children and Relatives of Members, Individual business persons, Micro Enterprises, The General Members of the Community, Micro-credit Members, Farmers (Individuals and groups), Jua Kali business persons, Youth and Women groups and Chamas. They access business training, exchange programmes and capacity building, then savings Accounts, Fixed Deposits Accounts and Credit facilities. Corporates – Registered business Entities, Institutions, Schools and Colleges, Churches, Community Based Organizations (CBOs), Cattle Dips, Registered Enterprises Business, Investment Groups, and Registered Companies join as Members of the SACCO. 1. Eldama Ravine Head Office – Located 60 Km North/West of Nakuru Town. 2. Marigat Branch- NLocated 97Km North of Nakuru. 3. Mogotio Branch- Located 36Km North of Nakuru. Targets Newly recruited Salaried Members. Granted once first shares/savings instalment has been deducted by employer. Loan approved as per pay slip qualification. 1/4 of approved loan is retained as Savings. Mandatory monthly shares/savings contribution of 1% of the loan granted, but subject to minimum amount of Kshs.2,000/=. Allows Members to get loan as they build Shares & Saving. Loan multiplier x3 the savings held. Repayment Period – 12 Months. Repayment Method – separate for each Loan. Loan qualifying factor is 3 times of the Savings held. Loan consideration and disbursement is daily. Separate repayment rate on the payslip. 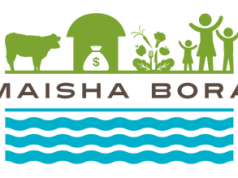 The SACCO registered Boresha Community Foundation (Limited by Guarantee) for greater impact in the Community through Corporate Social Responsibility. The foundation is a channel through which the SACCO and Partners can organize volunteers to address emerging needy cases within the Community. We have sponsored needy bright students to Universities and rewarded best performers, both Students and Teachers.The Foundation is dedicated towards giving back to the society. In its corporate citizenry responsibilities, the SACCO has sponsored needy bright students to universities and rewarded best performers in the Education Sector in particular students and teachers. Through the foundation, we are determined to extend its support to reach out to many needy cases in the regions it has made presence in the near future. you can always check the website and keep in contact with SACCO management.